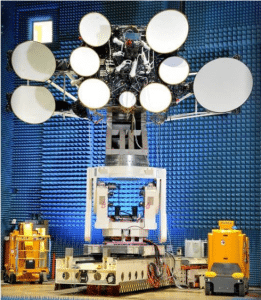 [Via Satellite 1-2-2014] Spacecom’s Amos 4 communications satellite has successfully arrived at 65 degrees east, its designated permanent service location. After a successful launch, the satellite fulfilled In-Orbit-Tests (IOT) at 67.25 degrees east before relocating to its current position. Commercial operations are scheduled to begin in early January 2014. The satellite provides traditional and next-generation broadcast, emerging interactive, mobile and broadband reach for satellite services, including Direct-To-Home (DTH), video distribution, VSAT (Very Small Aperture Terminal) communications and broadband Internet. From 65 degrees east, the Amos 4 will service broadband and broadcast providers throughout Southeast Asia, Russia, China and the Middle East using Ku-band and Ka-band transponders with steerable beams. 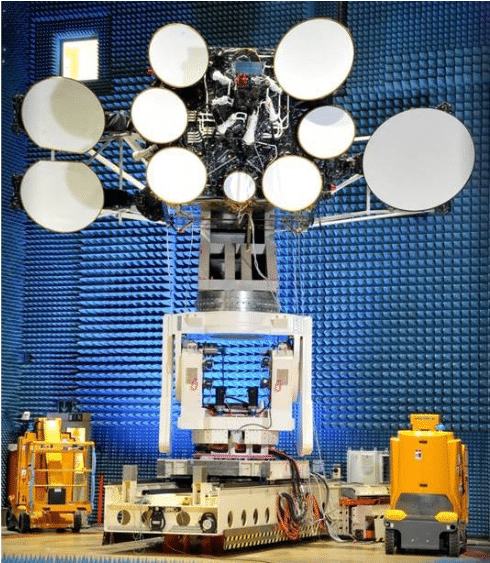 Spacecom’s planned launch of Amos 6 in 2015 will expand coverage over Europe and the Middle East.